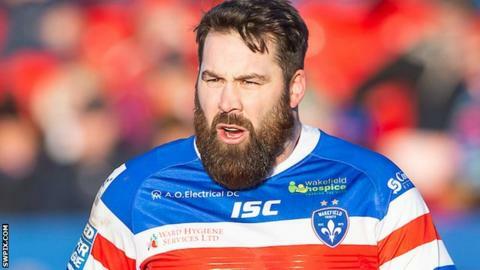 Wakefield Trinity prop Craig Huby will be out for three to four months after injuring his shoulder, head coach Chris Chester has confirmed. The 32-year-old front-rower made his first appearance of the season, against St Helens, last weekend, but picked up the injury in the first half. He played 22 games last term, scoring one try. "Craig has done a shoulder and it looks like it will be a reconstruction," Chester told BBC Radio Leeds. "He's looking at three to four months, and the back end of four months is a realistic target. "Although we lost him, it's a position we have plenty of depth in. We're a better team when he plays though. He offers a different dimension."